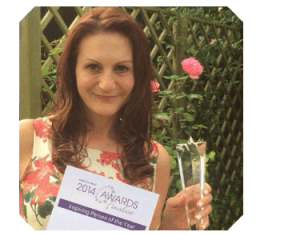 International Women’s Day 2019: Sarah Glover – "But I don't want to work in the City!" 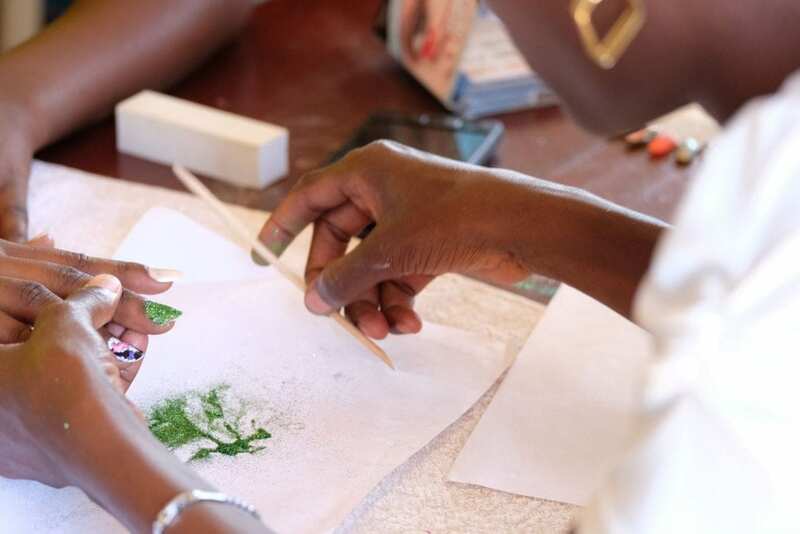 Born to be Beautiful is a charity that teaches beauty therapy training and skills to victims of abject poverty. The charity’s goal is to restore dignity and hope to lives devastated by exploitation. We currently work in India and Uganda. The courses are full-time and taught over 2 weeks. On completion of a Born to be Beautiful course, our students are given a starter kit – suitable for up to 50 treatments, a uniform. and a certificate. We then help each woman get work, go onto further education or set-up their own businesses. Did you always know you wanted to work in the not-for-profit sector? Since I was a little girl, I used to give money to charity and visit the elderly, yet working in the non-profit sector could never have been further from my mind. But, life brings you experiences which force you to reconsider your path and wonder about the value of what you’re doing. This is what happened to me. What do you enjoy most about working for Born to be Beautiful? I really enjoy all aspects of working for the charity. I enjoy the constant challenge and push from within to make a bigger and better impact, to be more effective and help more men and women get themselves out of poverty is compelling, and constantly engages me. What values are you committed to that have inspired you to succeed? Integrity is like a weather-vane keeping me on course. Compassion keeps my heart softened to the plight of ordinary everyday women every time I hear a new story. What has been the most rewarding accomplishment in your career so far? One moment comes to mind. It’s not the biggest thing we have achieved, but is for me the most powerful. When in Kampala, Uganda in 2012 we taught a group of women who were all HIV+, who were fast becoming a new ‘untouchable’ class in my opinion. At the end of the course, our last day with the class is the celebration when we recognise the accomplishments of our students. We have a local guest speaker who gives a short talk and then we present the class with their starter kits and their certificates. As I was presented the certificates, one of our students got down on her knees and thanked us for coming when no one else was willing to help them. She said we changed their lives and the lives of their children forever, adding that she had felt completely hopeless, but now we had changed everything for them. How can students and alumni get involved with Born to be Beautiful? We are always recruiting volunteers! We have vacancies in all departments, as I am always looking to build our teams but in particular, I am looking for people with excellent writing and persuasion skills to send out fund applications and ask for support from businesses and trust funds. So, please go ahead and apply – you can find the details on the Careers Service’s Vacancies & Opportunities database. What will you be doing for IWD 2019? 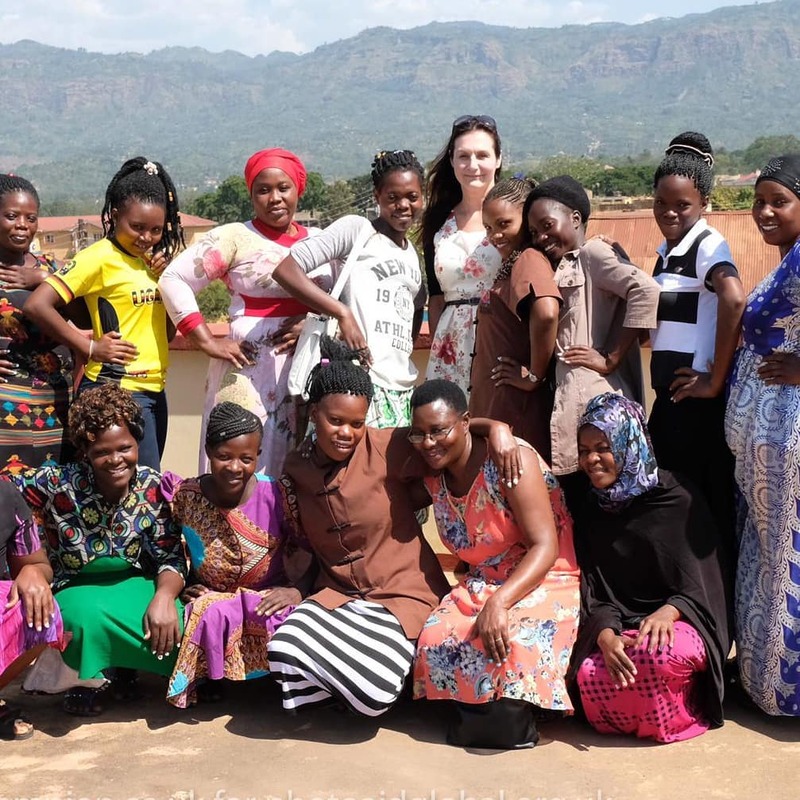 For IWD we have a social media campaign on our Instagram and FB pages saluting the women we know who are doing awesome things to help grow women internationally. Sarah Glover proudly presents the class of 2019! Happy International Women’s Day from the Careers Service team!